Every year we have some great photo shoots that take place at the Mill. Here are a few beautiful shots taken in and around the Mill by Debi Parker Photography. Take a look at the full set HERE. Interested in scheduling your own shoot? Visit our Photography page! In recent months, we’ve been very lucky, not to mention grateful, to receive several submissions from our loyal Mill followers. Some are historic photographs, some are modern and some are works of art, but all are invaluable to us here at Turn the Mill Around Campaign. Take a look at these great Mill photos and paintings! Each new piece we receive proves that the Mill has remained an important and cherished landmark in our community. Our thanks to all our contributors! If you have a photo or work of art that depicts the Mill that you’d like to share, please feel free to email us at chapmanmill@gmail.com or post it on our Facebook page. Recently, we were excited to find quite a few references to the Mill in the Prince William County Photo Archives. Housed in the Bull Run Regional Library’s Ruth E. Lloyd Information Center (RELIC), there were over two dozen images of the Mill inside and out that we had never seen before. The great folks at RELIC kindly scanned the photos – some of which we have included below. The images, largely taken by Henry H. Douglas in the latter part of the 20th Century, provide a wonderful opportunity for us to better understand how the Chapman – Beverley Mill once operated. This piece was originally posted by The Frosted Barn. The Mill is especially photogenic in the Fall and Winter. Be sure to keep us in mind for your upcoming photo shoots and make reservations by contacting us at chapmanmill@gmail.com. One of the best things about living in Northern Virginia is living in an area so rich with history. One of our favorite local spots is Chapman’s Mill (aka Beverly Mill). Given that the mill was burnt down it was stabilized to preserve it in the state it stands now. The addition of the railroad made Chapman’s Mill even more prosperous. Lots of creatures to see too! This is a structure that is behind the mill. Over the years the Mill has remained a popular setting for photo sessions, and we’re always amazed by the beauty and creativity that we see in the images captured there. Just take a look at this 2012 shoot by B. Payden Photography for tons of artistic inspiration! So, to encourage the continued use of the Mill for such artistic endeavors, beginning July 1, 2015 TTMAC will be taking reservations for 2016 photo sessions. Sessions will be available during weekdays at a rate of $50 for four hours of access or a full day (dawn to dusk) for $100. Contact Frances Allshouse for further information at chapmanmill@gmail.com. Turn the Mill Around Campaign faced a very big problem when it took over management of the Mill in 1998. The fire that year had left the walls of the structure fragile and in danger of collapse. TTMAC contacted numerous companies about stabilizing the ruins, but each considered the walls too delicate to save. 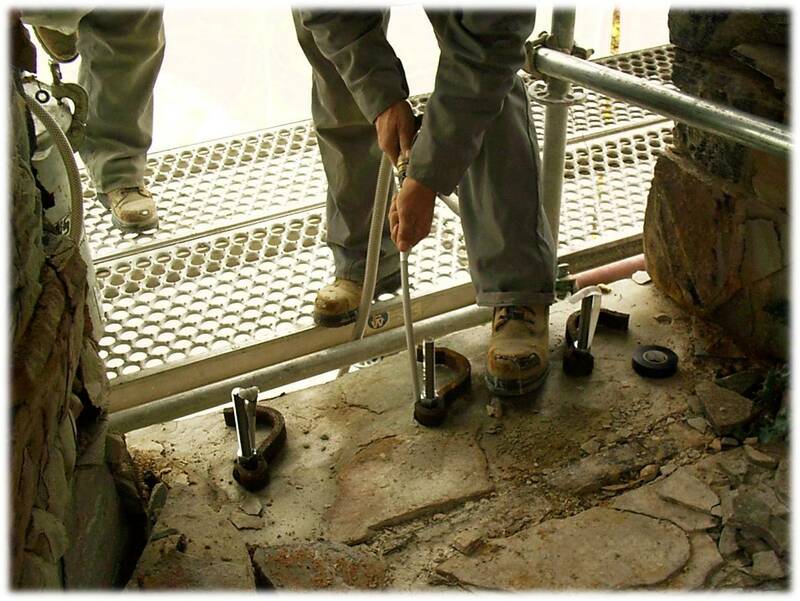 Finally, TTMAC contacted Cintec, a preservation business known for stabilizing European castle ruins. Cintec devised a plan to strengthen the walls one at a time. 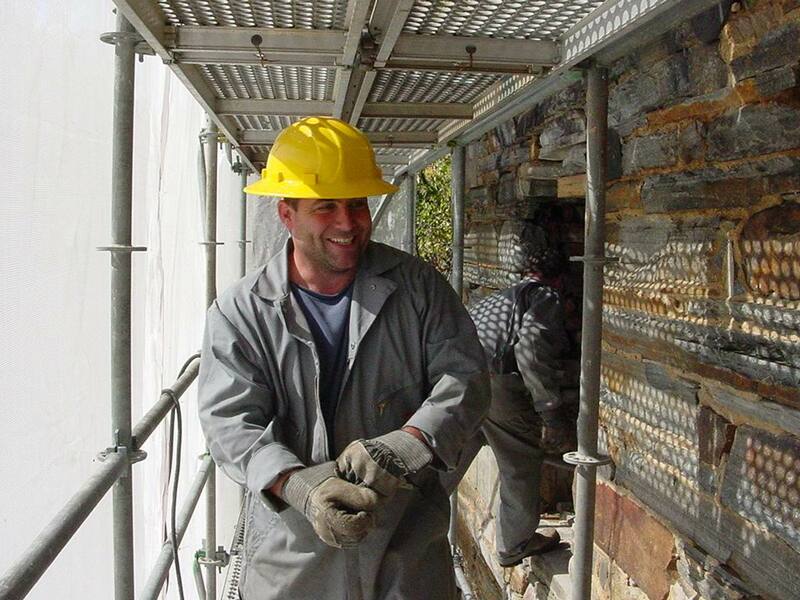 Beginning on the South wall (the most fragile), Cintec workers drilled down through the wall from top to bottom inserting a strengthening rod and filling the void with a mortar-like substance. The South wall was completed in 2004 and by 2006 the whole structure had undergone the Cintec internal anchoring system process! For an in-depth explanation of how Cintec anchors work and how they’re installed, take a look at the stabilization of the Baltimore Basilica. Turn the Mill Around Campaign recently uploaded a new video to our YouTube channel. The video includes images – some of which we’ve never posted before -of the Mill both before and after the 1998 fire. It also includes clips from some of our favorite Mill – related YouTube videos. For this short piece we were excited to work with local artist Jiamie Pyles who provided our hauntingly beautiful soundtrack. Have a photo of the mill you’d like to share? We’re always looking for historic and modern images of the mill! Contact Frances at chapmanmill@gmail.com.